What exactly is a night photograph? I define a night photograph as any image taken between dusk and dawn when the sun is completely below the horizon line. That definition encompasses a huge variety of subjects! In this tutorial, we’ll explore some of the most popular night photography themes, including cityscapes, astrophotography, fireworks, and lightning. We’ll start, however, with how night photographers look the world from a slightly different point of view. One of the most interesting aspects of night photography is the unpredictable nature of the images you can produce. Unlike many other forms of photography, night photos often don’t reveal their secrets until after the exposure is complete. This unpredictability is, in part, the result of slow shutter speeds: low light conditions at night require exposures of several seconds or longer. Slow shutter speeds allow you to compress a long duration of time into a single frame. By choosing a long duration exposure you can exaggerate the effects of speed and time. 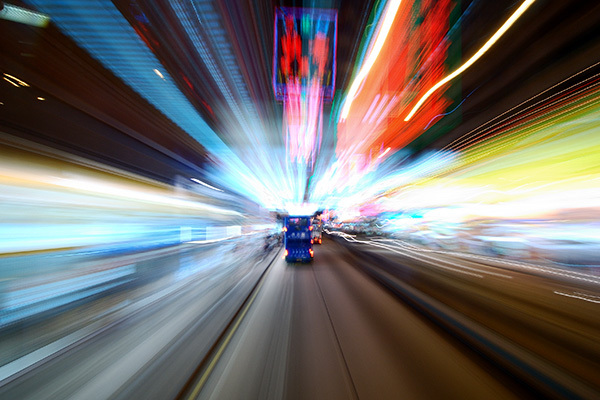 With a long exposure, any moving subject creates motion blur as it moves through the frame. This can lead to some spectacular and surprising results! In addition, our 1-tap enhance feature will make the most common enhancements to your image in only a single click! A fisheye lens and a long duration shutter exaggerate the feeling of speed and motion. I love the mixture of artificial and natural light in low-light scenes, especially at twilight, and the intensity of color you can get in night photos. Colors at night are so rich and vibrant they seem to leap out at you from the black of the sky. The most accessible subject for most budding night photographers is the cityscape. While other photographers are sleeping, the city provides a multitude of photo opportunities for you to explore. When I look for potential cityscapes to photograph, I look for a few key aspects: time of day, water, and elevation. 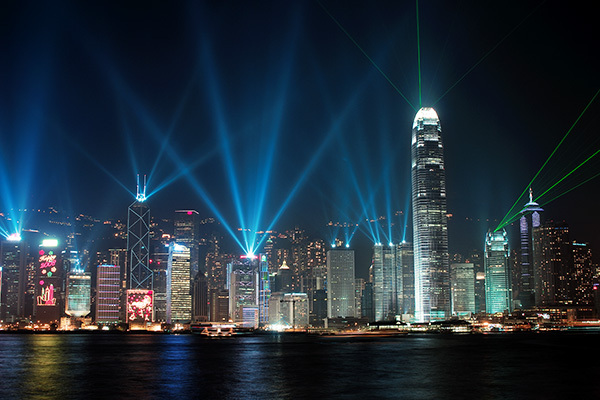 Hong Kong has plenty to offer the night photographer: it is built on a harbor, has some incredible architecture and a variety of interesting subject matter. It also helps that every night at 8 o’clock the world’s largest permanent lighting display showcases its impressive skyline. The best time of day to photograph cityscapes is twilight. At this time of day, you often get a rich blue color present in the sky. You may also get some beautiful warm tones as the sun sets and illuminates the clouds. I also prefer to shoot at dusk as opposed to dawn as there is more activity happening at this time of day. Water reflects and refracts light in interesting ways. The combination of the cityscape, water, and mixed lighting afford you some great photographic opportunities. If there is water about it is definitely worth considering including it in your compositions. Cityscapes also look good after the rain has fallen. Wet streets, roads, and footpaths are highly reflective surfaces that can pick up light and transform an otherwise drab scene. Cityscapes can benefit from being photographed from an elevated position, and I often try to find a location where I can photograph the city from up high. If you photograph a city from ground level you will often have unwanted objects obscuring the view. By elevating your position you can separate these individual elements and give them their own space in which to move, such as boats traveling around a harbor, or traffic leaving motion blurred light trails. I was able to position myself ahead of this electrical storm as it approached but after fifteen minutes I had to seek shelter as it became too dangerous to remain outside.Those lights on the horizon are deep water channel markers. My personal favorite photographic subject is lightning. 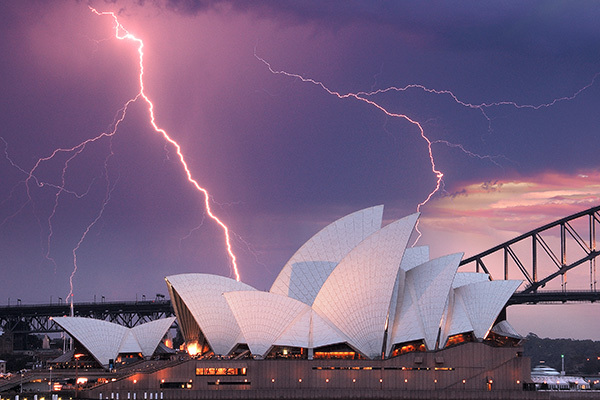 Capturing nature’s spectacular displays can be a frustrating experience, though: there is an element of luck involved in getting good lightning photos. When shooting lightning you have no idea where or when it will appear, so to increase the likelihood of capturing a strike you should use a long duration shutter speed and minimize the gap between shots so the shutter remains open for the majority of the time you are taking photos. Chasing this elusive light show can be addictive but it is also potentially deadly. You must take precautions to minimize the risks to your own well being whilst maximizing your chances of success. Set the camera to run automatically while you take shelter inside a building or car. Better yet, stay as far away from the storm as is practical and use a normal or telephoto lens to zoom into the region of interest where lightning is present. If you have to use a fisheye lens to fit in all of the storms you are probably way too close. Lightning can happen anywhere, but it is far more prevalent in areas of high humidity and during the change in seasons. Research the best times for shooting thunderstorms in your local area. 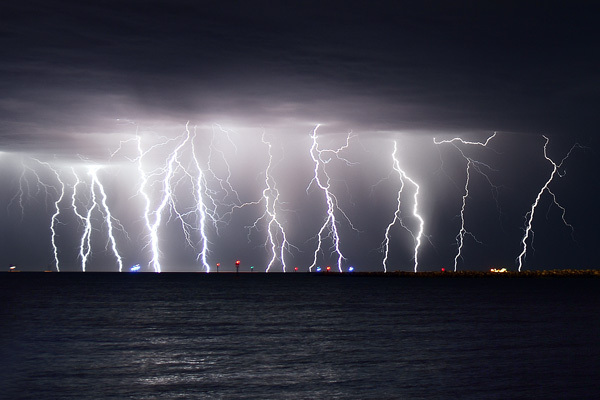 Some meteorological websites have web pages dedicated to tracking lightning strikes. By staying vigilant and checking weather reports on a regular basis you can identify when the storms are headed your way so you can set up well in advance. Another of my favorite night photography subjects is fireworks. 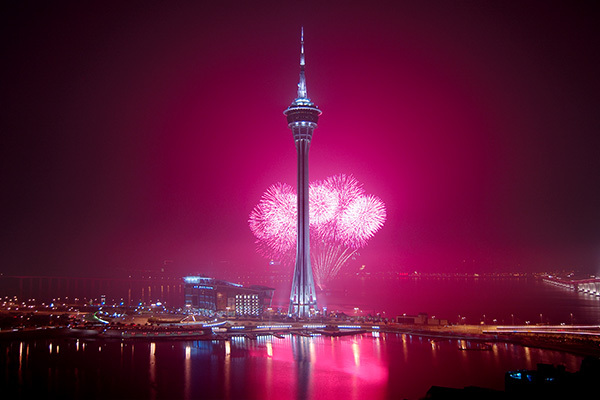 Opportunities to photograph pyrotechnic events usually occur at least a few times a year, especially around holiday celebrations such as new years eve and national days. Large firework displays are high profile events which attract a lot of publicity so it should be easy enough to plan for an upcoming event. Fireworks displays are usually very crowded so it pays to set up ahead of time to secure a good location. If you arrive before dark you can survey the scene and work out where the fireworks will be concentrated. If the fireworks display is located in a harbor you will need to look out for the launch barges and position yourself accordingly so you can set up your camera to take full advantage of the opportunities that will arise. Astrophotography is one area of night photography that requires specialized camera equipment to make more complex shots. You can, however, start off by doing basic star trail photos or wide-field astrophotography with an entry-level camera, tripod, and a fast lens. To increase your chances of success photographing the night sky you must leave the confines of the city behind. Light pollution from the city makes it impossible to get a good image from the night sky in a large radius. You should get as far away from major population centers as possible; at least 150 kilometers from the closest town is recommended. Remote deserts and areas of high altitude are the best places to take advantage of a lack of atmospheric and light pollution. 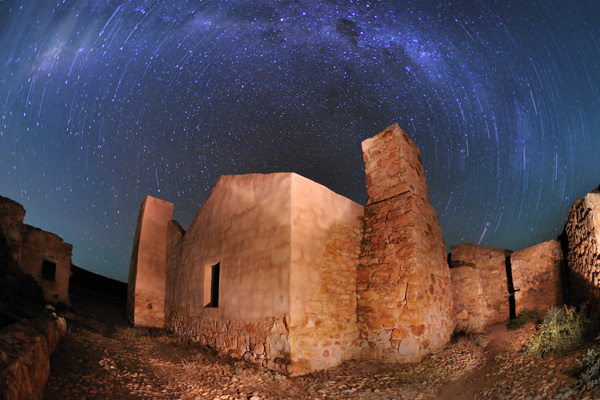 Star trail images generally require long exposure times and this is one instance where film cameras can offer an advantage. A mechanical film camera doesn’t require battery power to activate the shutter and you can leave it open for hours at a time. Digital cameras, on the other hand, need the power to operate the shutter for the extended duration. If you are in remote areas and don’t have access to AC power or solar panels to recharge your batteries film cameras are the way to go. You can use artificial light sources, starlight, moonlight and the residual light left by the sun during twilight to take landscape photos at night. Some of these light sources, however, are very faint and may require very long shutter speeds and a fast lens to get good results. By combining different sources of light with natural landscapes you can produce beautiful images with a surreal quality. You can also take your own light source with you and paint the scene you are photographing with light. Using a torch or even the light from your phone as a source of illumination can create striking images that are completely unique. Night photography is a fascinating area of photography and a pursuit that encourages experimentation and thinking outside the square. Don’t be afraid to try new ideas, you just never know what you might come up with!